This case study outlines the industry growth in social games, where users play games like Farmville and Mafia Wars on social networks like Facebook and MySpace, to socialize with friends and / or meet new people. In 2009, it is expected that the social gaming industry to reach 250 million people to play against only $ 50 million a year ago. In late 2009, the social game came to be considered the “wild west” of the game in the United States, which was a bright spot in the game industry (Video Games and Consoles where sales fell to an annual rate of 20 percent ) taken seriously by all industry players, including traditional publishers such as Electronic Arts. 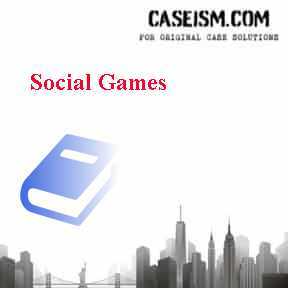 In late 2009, the world of social gaming is an exciting sector and an open future. As the industry continues to grow and develop, players of social games the U.S. had all eyes on Asia, where companies have innovated in terms of monetization models, new platforms such as mobile content and game.